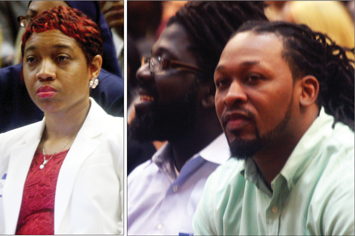 WINSTON-SALEM, N.C.—Black dollars must circulate among Black people to create jobs and services dedicated to the needs of the Black community panelists asserted during the S.B. 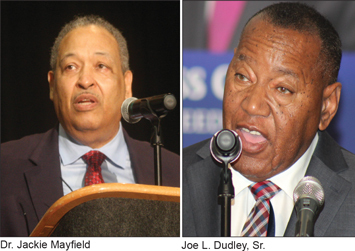 Fuller & Joe L. Dudley, Sr. Foundation Weekend, a three-day gathering dedicated to Black entrepreneurship. This approach isn’t optional but mandatory if Blacks are to rise out of an economic desert and income instability, they added. It means more hiring within the community, creation of businesses that could be financially healthy and produce endeavors that could mean healthier foods and lifestyles, and provide a solid economic foundation can help strengthen families that find themselves on edge, the presenters said. “Capitalism … the only true pathway to freedom” was the theme of this year’s special gathering of the S.B. Fuller & Joe L. Dudley Mastermind Business Group Meeting at the Benton Convention Hall on May 21. It brought together business and investment experts from across the U.S. and Bahamas, offering their take on how Black spending habits, and the Black ability to generate revenue must be strategically used to help a suffering people survive. Less focus on individual attainment and development of a collaborative economic framework would rebuild Black neighborhoods, while increasing peace, security, kinship and an overall sense of connection, they argued. “African-Americans are at a pivotal point in our history,” said networking mogul Dr. George Fraser of FraserNet. “And the world is not waiting for us to wake up to our power,” he said, pointing to the Black community’s economic welcome mat policy. This unwritten standard allows anyone who is not Black easy access to Black dollars and consumers, anyone else can walk in, meet some community needs, wipe their feet on consumers like a doormat and exit with tens of millions of dollars put in banks outside of the community, presenters said. Blacks suffer from historical oppression and a failure to collaborate to keep Black dollars circulating and servicing the Black community, they said. 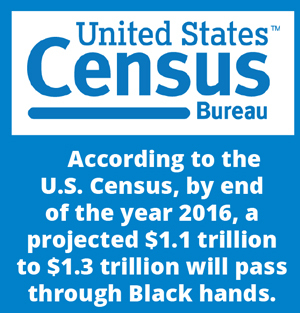 According to the U.S. Census, by end of the year 2016, a projected $1.1 trillion to $1.3 trillion will pass through Black hands. 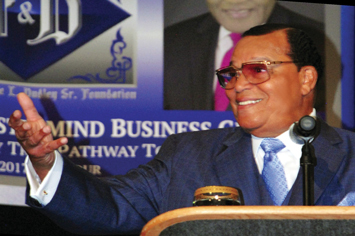 In less than six hours, Black dollars find their way out of the community because of too little interaction between Black-owned businesses and Black spenders, observed the Honorable Minister Louis Farrakhan of the Nation of Islam in remarks during the Mastermind Group session. “Booker T. Washington, wanted us to be economically free. The great Marcus Garvey came from Jamaica to meet Mr. Washington. He so admired Booker T. Washington,” the Minister noted. Mr. Washington’s life story captured in the book Up from Slavery “started Mr. Garvey in his consciousness to raise the consciousness of Black people in America and throughout the world,” said Min. Farrakhan. Mr. Garvey contacted Mr. Washington between 1914–1915 with plans to visit him and discuss the formation of a school in Jamaica based on the Tuskegee model. But Mr. Washington died four months before Mr. Garvey arrived in the United States. “All of us are standing on the shoulders of somebody else,” Min. Farrakhan said. “And none of us will live long enough to completely solve the problem. But each of us in our time has a function to perform and a mission bigger than being an entrepreneur. That’s the start of it. But what is the mission of the entrepreneur? It is not just to make money to fatten the pocket of an individual or a family. But the entrepreneur is the bell weather. They are the ones who signal to the people we are present to supply our people’s needs,” the Minister said. “The sad thing about our meeting today is we don’t realize that we are still colonized,” he lamented. “A colony is an entity that the land that they’re on—is really taken over by somebody else. They work in the colony to feed the colonizer. And at some point in this great nation, the 13 colonies decided: enough is enough. They rose up against the King of England. And today we have the United States of America. But we didn’t come on the Nina, the Pinta or the Santa Maria. We weren’t looking for a better place. We came in the holds of ships and the enemy knew that he had a product. Not a human being, but a product that he could use to build a country that we were never supposed to have equal justice, equal opportunity and real freedom in. So whatever city you live in; look how many more that are in our community doing business that don’t look like us,” he said. One of the most prominent examples of collaborative economics—or how a community uses and leverages money—can be found in the more than 9,000 Korean-owned businesses in Black communities around the U.S. and where those monies go at the end of their business day. One report said Korean Americans earn more than $1 billion in wigs, extensions and hair weaves alone in Black communities. This does not include earnings from nail salons, body spas or hair accessories, conditioners, pomades, hair coloring, combs, brushes, and barber supplies. According to Korean Daily and its analysis of the U.S. Korean Market, Korean Americans hold the second-largest share of immigrant business ownership, with more than 90,000 Korean entrepreneurs owning 158,000 businesses across the U.S.: Thirty-two percent are white-collar professionals 15 percent are small to medium size business owners, the report noted. Of the more than $500 billion Asian Americans spend annually, Korean Americans account for close to $40 billion of that total. Circulating the money amongst themselves has increased their U.S. buying power since 2000 by more than 71 percent. Their median household income is an estimated $50,565 per year. Though their preferred residences are found mostly in metropolitan areas, they primarily dedicate their earnings to building community strength. They use community savings institutions and some estimate money circulates more than 30 times among their food markets, schools, retail stores, pharmacies, fabric and clothing stores. According to the Korean Daily study, more than78 percent of Korean Americans, speak Korean daily. There is a lot to study in their model of success, the panelists suggested. “God sent us here, on this earth as one of the greatest species ever created by God and he was so pleased with the creation that he allowed other nations to borrow from us,” stated Dr. Jackie Mayfield, founder of Corprotax, the largest Black-owned tax service for entrepreneurs with more than 220 franchises across the United States. “And now, we are the fathers and mothers of great people in the world that now, we as the fathers and mothers, are lacking a spirit of understanding of who we are. Too often, we go into business with an employee mindset and want to be a good business person. Those are two different mindsets. There are other nations; there are other groups of people in this world that teach their children from birth to be in business and to support your family while they’re in business so that they can be successful,” he said. “How do we expect our communities to be rich, if we are constantly taking the money and giving it to someone else? We feed our enemies—we feed them with our money and expect of them to do good by us. They are going to do good for themselves. And that is right to do,” he said. “It is wrong for us not to do good for ourselves. Your community’s culture is like having good, rich soil so that you can grow human beings into self-determined people that will produce other self-determined people to sustain your cultural identity. It is necessary for your cultural DNA to be healthy so that people placed in that culture will not only survive but will provide. It is impossible to have a healthy cultural DNA without having an understanding of the role that Africa played in establishing civilizations around the world, before it was colonized,” said Dr. Mayfield.